Pioneers in the industry, we offer high tensile plate, high tensile plates, high tensile plates - salima 350, high tensile plates- salima 410, high tensile steel plate -essar 400 and high tensile steel plate from India. High Tensile plates(S690QL ) The high tensile plates are the plates with high toughness and good welding ability. 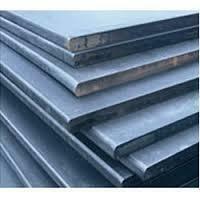 Made using graded steel, these plates are suitably used for various manufacturing procedures in cold regions. These plates possess good formability and are used in civil engineering and industrial machinery and in automobile industries for making lightweight automobiles. Uses Of High Tensile Plate Heavy road vehicles chassis, dumper bodies for high strength use high tensile plate. Cranes construction booms of mobile cranes made from high tensile plate for higher strength. Structural steelworks bridges, bridge components, Components for offshore structures. Pressure vessels fixed and transportable storage tanks, vessels. Power plants penstocks, spiral cases. Materials handling lifting and mobile equipment. Mining and earthmoving equipment roof supports. Agricultural equipment and trailers. Salima 350 Salima 355 Salima 410 Salima 410i Salima 450 S690QL The high tensile plates are the plates with high toughness and good welding ability. Made using graded steel, these plates are suitably used for various manufacturing procedures in cold regions. 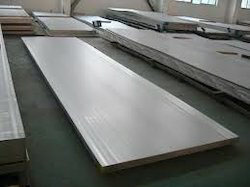 These plates possess good formability and are used in civil engineering and industrial machinery and in automobile industries for making lightweight automobiles. Uses Of High Tensile Plate Heavy road vehicles chassis, dumper bodies for high strength use high tensile plate. Cranes construction booms of mobile cranes made from high tensile plate for higher strength. Structural steelworks bridges, bridge components, Components for offshore structures. Pressure vessels fixed and transportable storage tanks, vessels. Power plants penstocks, spiral cases. Materials handling lifting and mobile equipment. Mining and earthmoving equipment roof supports. Agricultural equipment and trailers. • Heavy road vehicles: chassis, dumper bodies for high strength use high tensile plate. • Cranes construction: booms of mobile cranes made from high tensile plate for higher strength. • Components for offshore structures. • Pressure vessels: fixed and transportable storage tanks, vessels. • Power plants: penstocks, spiral cases. • Materials handling: lifting and mobile equipment. • Mining and earthmoving equipment: roof supports. • Agricultural equipment and trailers.